Air New Zealand has set two milestones with its inaugural service to Argentina. Flight NZ30 took off from Auckland Airport on Tuesday evening, landing at Buenos Aires just over 11 hours later. It was Air NZ’s first scheduled flight to South America and part of the airline’s growth strategy in the Pacific Rim. And from a technical point of view, the arrival of Boeing 777-200ER ZK-OKC at Ministro Pistarini Airport meant Air NZ became the first airline to operate a flight under 330-minute extended operations (ETOPS) approval rules. The Star Alliance member has received approval from the US Federal Aviation Administration and New Zealand Civil Aviation Authority to operate its Boeing 777-200ERs powered by Rolls-Royce Trent 800 engines to Buenos Aires with 330-minute ETOPS. The 330-minute ETOPS – which means the aircraft can be flown on a route that keeps it within five and a half hours flying time on a single engine from an alternate airport in the event of an engine failure, offers Air NZ more flexibility for long over-water flights such as the Auckland-Buenos Aires route. “We’re delighted to be the first airline globally to offer the longer ETOPS on our 777-200 aircraft for our Auckland-Buenos route. It allows us to offer a new and exciting destination for our customers,” Air NZ chief of flight operations and safety officer David Morgan said in a statement on Wednesday. Previously, Air NZ’s 777-200ER/Rolls-Royce Trent 800 flights began operating with 240-minute ETOPS in October 2014, and the airline was granted 330-minute ETOPS approval in November 2015. Boeing vice president and general manager for the 777 program Elizabeth Lund described Air NZ as an industry leader on ETOPS approvals. 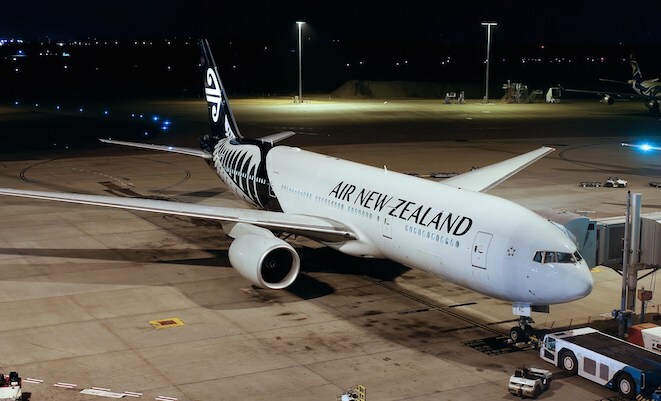 “Air New Zealand has truly embraced Boeing’s philosophy of point-to-point service, creating new and exciting routes to connect passengers worldwide,” Lund said in a statement. To obtain approval to operate an ETOPS flight, an airline must satisfy regulators it meets certain standards and has the appropriate equipment, such as cargo fire suppression capability and satellite communication voice systems, on board. Staff training, operating procedures and the airline’s maintenance practices are also evaluated as part of the approvals process. While the 777 received type design approval for 330-minute ETOPS from the US FAA in December 2011, airlines are required to apply separately for operational approval to fly the aircraft with the extended operations limit. Boeing’s 787 has also received certification for 330-minute ETOPS, while the Airbus A350 has European Aviation Safety Agency certification to fly up to six hours and 10 minutes (370 minutes) away from a potential diversion airport in the event of a single engine failure. In an Australian context, ETOPS restrictions are particularly relevant on routes across the southern oceans, such as Australia to South America and Australia to South Africa. Qantas flies four-engined Boeing 747-400s to Johannesburg and Santiago from its Sydney hub. The 330-minute 787 ETOPS would allow Qantas to potentially replace the 747-400 on its Sydney-Santiago and Sydney-Johannesburg services with the 787. Qantas in August announced a firm order for eight 787-9s, with the first of the type due to arrive in 2017/18. Air NZ will fly three times a week between Auckland and Buenos Aires, with Aerolineas Argentina codesharing on the route and offering onward connections to other points in South America. Are there requirements for weather at alternate airports?